3d Man And Puzzle Success PowerPoint Templates And PowerPoint Themes 0912-"Microsoft Powerpoint Templates and Background with a person holding puzzle piece"-"A person hold puzzle, metaphor, competition, success, business, leadership" Exhibit your erudition on our 3d Man And Puzzle Success PowerPoint Templates And PowerPoint Themes 0912. Give the audience a taste of your profound knowledge. 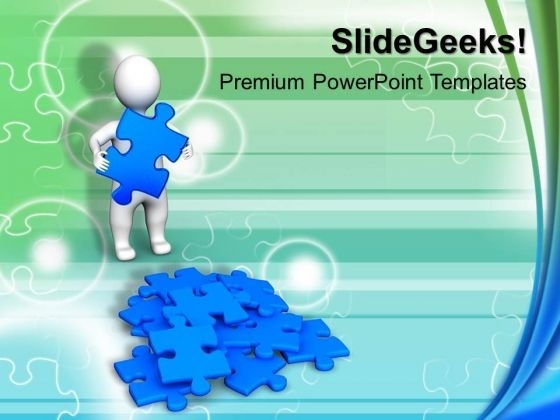 Allow discussions with our 3d Man And Puzzle Success PowerPoint Templates And PowerPoint Themes 0912. You will come out on top.